Limousines, S.U.V. and 15 Passenger Van at Your Service! 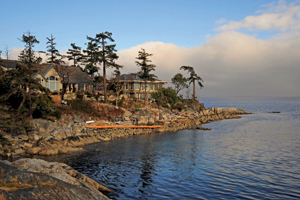 Discover the small town charm of these twin city beach fronted communities. Enjoy the old world type buildings and unique stores and restaurants. Shopping the many stores is a memorable experience. A really enjoyable way to spend an afternoon. 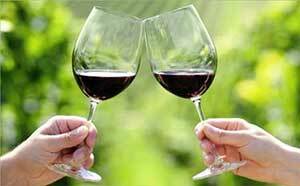 A winery tour is a refreshing change break from a busy lifestyle. Whether you are a tourist or a local, check out our various options, enjoy learning about the various local grown and bottled wines and enjoy the tastings without having to drive afterward. 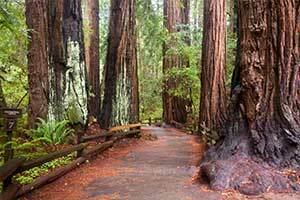 A number ONE tour is to GAZE up at 800-year-old giant trees. This old growth lush forest is a sense of what Vancouver Island and the west coast looked like before the arrival of European Settles many many years ago. The trails seem like they go on forever with the written information below trees and sites. 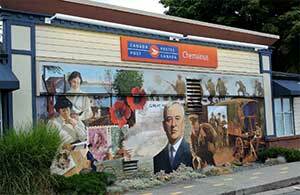 “The Little Town That Did” This creative village is “World Famous for it’s Murals”. A favourite arts and cultural destination featuring outdoor murals and you can also see live professional theatre year-round. The worlds largest outdoor gallery has 38 murals and 13 sculptures. Gift shops offering pottery, native and local artworks. You won’t be disappointed. 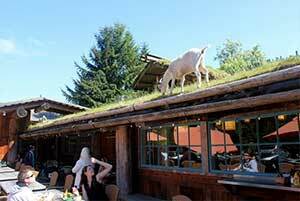 Explore the Rustic the rustic charm of the world famous Coombs Country market and the just as famous “goats on the roof”. Enjoy the shopping in the various shops where you can buy locally made crafts and works of art, from pottery, paintings to jewelry, there is something for everyone Simply let us know your preferences and we will cater to your every need we the professionalism you both deserve and expect! Simply let us know your preferences and we will cater to your every need we the professionalism you both deserve and expect!